What better way to showcase your botanical masterpiece than with landscape lighting. 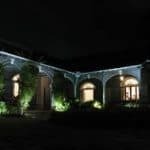 Create a mood, make a statement, add some pizzazz or even provide that extra bit of safety and security for your property with the different types of effect lighting. Path Lighting is just what the name implies. 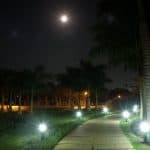 Canopied fixtures are placed into the ground to illuminate walkways and paths in downward facing pools of light. They not only create a warm, welcoming feeling to family and visitors alike but also provide the security of being able to see where you can safely step after dark. Path lights can also be used to highlight adjacent low-lying shrubs and other border plants. Up Lighting is, again, just what you’d think from the name – lights that are installed in the ground and point up. There are different forms of up lighting including spots and well lights. Up lighting is generally used to create drama. You may have a particularly dazzling or unusual tree that you’d like to feature by highlighting its bark and the underside of its canopy. Be sure to light the trunk as well as the canopy; if you light just the canopy, it will look like it’s hovering. But up lighting is by no means restricted to the foliage. It can also be used to highlight architectural features such as columns, windows, walls, lintels, or porticos. Do you have a fountain in your yard? Consider using up lighting to showcase it, and watch the magic of light playing in the water. Shadowing is placing a wash of light angled from the base of a statue, a tree or other feature to cast a soft shadow on a vertical plane such as a fence or a wall. This works particularly well with a tree that has open, delicate foliage such as the various genera of maple, mahogany and willow. Shadowing can create quite a compelling effect, particularly when the tree being shadowed moves in the breeze. Down Lighting is the designers’ choice for illuminating flowerbeds, patio seating or any location where you want light splayed over a broad area. Fixtures are elevated and installed pointing down. One type of down lighting is moonlighting (no, you don’t have to get a second job). Moonlighting is the placement of a fixture high up in a tree angled down. The effect is that of moonlight shining down through the branches. It has a very natural feel and creates delightful shadow effects on the ground below. Don’t overdo it. Lights in planting beds should be no closer than 20 feet apart. The idea is to create pools of light that direct your attention from one to plant to the next rather than continuous illumination. When lighting a focal point, aim two or more lights at it from different directions to reduce hard shadows. Don’t forget architectural features such as pillars, stacked stone, and arbors. For security lighting, be sure to include doors and other points of entry. Aspiring burglars like dark places and shadows to hide in. Don’t give them any. Consider hiring a pro to design and install your landscape lighting. The pros understand how to fine-tune your lighting through timers, dimmers, optics, and glare guards. Pros are also knowledgeable about local laws regulating light that extends beyond your property line or into the sky. There are many different brands of outdoor lighting fixtures available, covering a wide range of prices. Most big box stores carry landscape lighting, much of which is made of painted cast aluminum. While the low price may be attractive, there are some things to consider. Aluminum oxide corrodes over time, particularly in humidity. Paint and powder coatings do provide some limited protection from corrosion, but the finish on the fixture will fade long before the LED bulb burns out. Don’t be surprised if the aluminum fixture lasts only two or three years. Stainless steel fixtures are a step up from aluminum and they do look good in some settings. When they’re new, that is. The layer of chromium oxide that stainless steel fixtures are coated with can be degraded by sand, dirt, and other materials. If you go stainless steel, be prepared to clean them often to keep them looking good and to protect them from corrosion. Copper fixtures are an option for your landscape lighting. Because copper is softer than brass, some manufacturers will coat the copper fixtures with brass. One good reason to coat copper is that it reacts with oxygen to form the green outer layer that we’ve all seen. It is possible to remove this layer with a lemon and salt mixture or a vinegar and salt mixture, but that’s a lot of work. Some sites recommend using a popular carbonated soft drink to clean copper. The carbonation combined with the acid can dissolve metal oxides and remove the tarnish. Hmmm. I’m not sure we should be drinking that stuff. For aesthetics and durability, you just can’t beat solid brass fixtures. Brass is a hard metallic alloy of copper and zinc that has been used for a very long time for items such as nuts, bolts, terminals, jets, and taps. Part of the reason it has been such a valued material is that it is a hard, durable metal that does not bend, break or corrode. And it is impervious to the elements. Brass will develop a patina over time, developing a darker finish as it is exposed to the elements. But if the “patina’d” look doesn’t suit you, brass can be polished to a brilliant finish. Solid brass fixtures often come with an unbeatable warranty. To top it off, solid brass fixtures look great, giving your yard a look of timeless elegance. 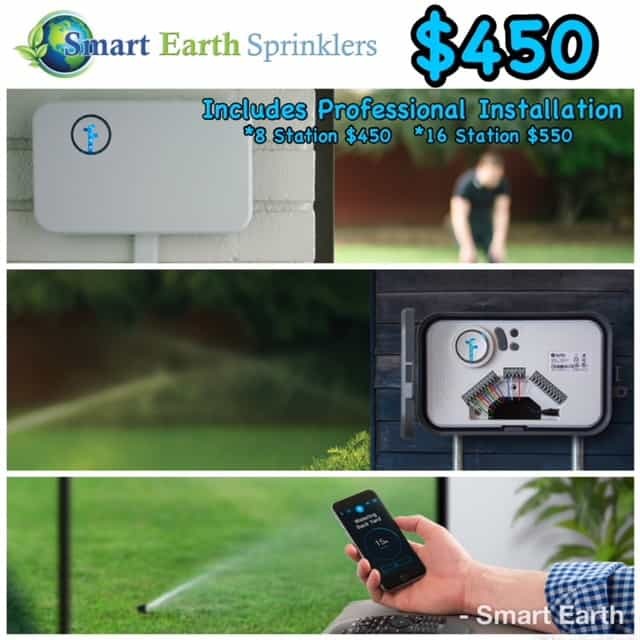 For a lighting system that is beautiful, energy-efficient, and functional, let the experts at Smart Earth Sprinklers help you with the design, product choice, and installation of your landscape lighting. Call today at (512) 694-1147.